Second album with 14 instrumental originals. Recorded by Niko Lazarakopoulos, feat. many guest musicians, incl. Chris Cacavas on organ/piano again. First recording appearance of Tepe Rockstar on bass who is part of the live line-up since the band started in 2002. First full length album with 14 catchy instrumental songs, all written by Flavio & Fabrizio Steinbach. Recorded with the help of Lolo Blümler, Volker Zander & Martin Wenk (both Calexico) and Chris Cacavas. With nice liner notes by Barbara Manning. 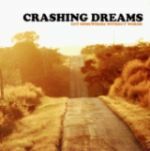 Debut EP featuring very good instrumental songs between Indierock and Punk, with all kind of dynamics to it. With Volker from Calexico on bass and produced by longtime Go-Luckys friend Lolo Blümler. 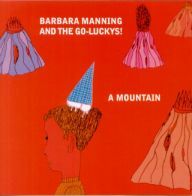 Artist: Barbara Manning And The Go-Luckys! The last and latest release of The Go-Luckys! A little six song masterpiece which convinces very easily. Fantastic artwork by Christopher Tauber and great liner notes by Patrick Mathewson. The one and only full length studio album, recorded partly in America partly in Germany with few special guests. Strong straight forward rock songs combined with some dreamy tunes. Third 7” which came out on the German Indie Rock Underground label Supermodern. 4 songs, featuring the English sung Tocotronic cover song ‘Jackpot’. The CD-EP version has 1 more song. A collection of radio and live recordings and unreleased stuff. This CD is a collector’s item for all the people who really like the music. Recorded at many places with many special guests. Second 7” which came out on the German Undergound Psychedelic label Swamp Room Records. Featuring the two punkrock songs ‘Don’t Deglect Yourself’ & ‘Old Woman’ which have been previously released. Unfortunately sold out. First 7” which came out on the German label Sommerweg. 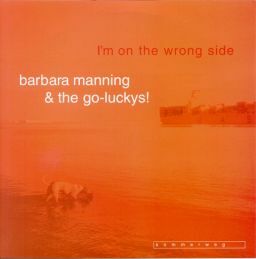 The two cover songs ‘I’m On The Wrong Side’ and ‘Leaving On Your Mind’ have been recorded in 1999. Unfortunately sold out. Live Album which was recorded on the U.S.A. tour in 2001 at The Shop in Spokane. 18 songs, beautiful artwork and good sound. Comes only on Picture Vinyl. Unfortunately sold out. 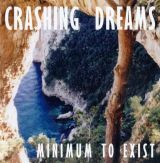 The Debut EP, recorded one month after the band was formed. Includes a big ‘mindmap’ poster and great artwork. Released as Digipack CD and 180 gr. Vinyl. Unfortunately sold out. Sie erhalten dann alle Informationen, die Ihre Bestellung betreffen. Then you receive all information which concerns your order.